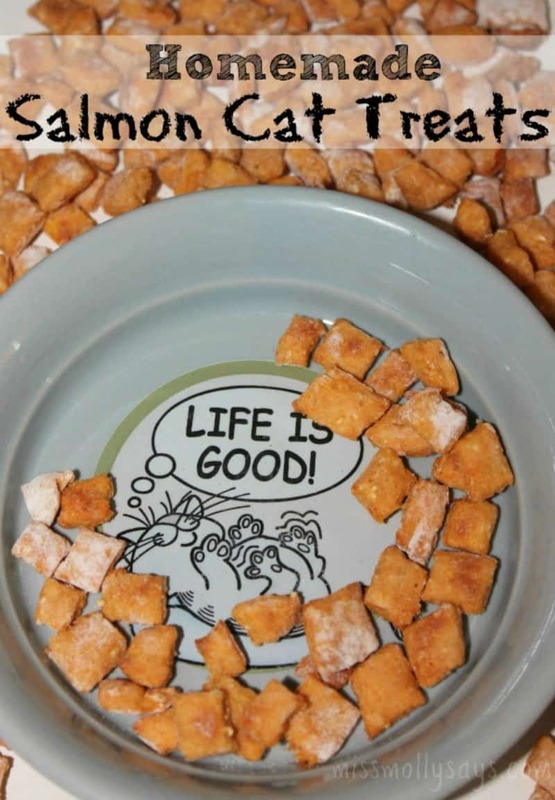 Even the pickiest cat won’t refuse these crunchy Homemade Salmon Cat Treats. 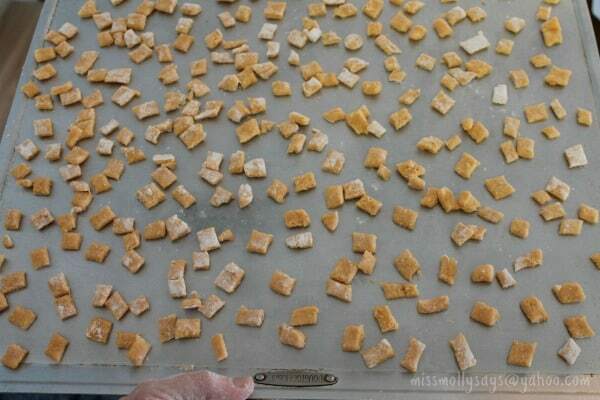 With just a little effort you can bake 500 kitty treats for a fraction of the cost commercial treats, and the ingredients are sure to be more wholesome. For a special treat, you can add a little catnip to the dough. 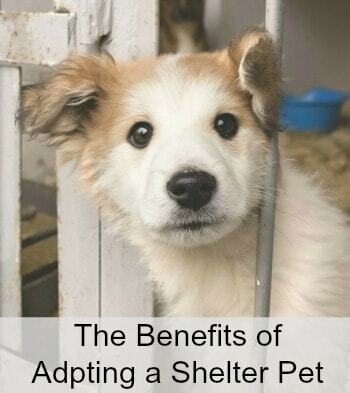 Just don’t be surprised if all of the neighbor’s cats show up at your front door! 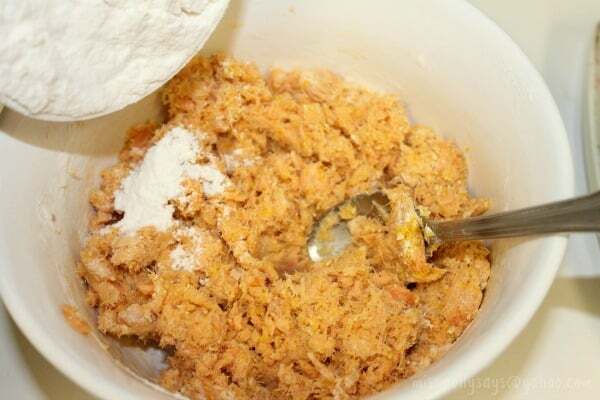 Combine all ingredients except the flour and mix well. Slowly add the flour, stirring well. It is very heavy dough, so you may need to put on gloves and mix it by hand. Place dough on a floured surface and knead it a few times. Flatten dough and turn it over to coat with flour. Roll out a little less than 1/4-inch thick. Place on ungreased cookie sheets and bake for 15 minutes. Watch carefully – they can burn quickly. If you don’t want to bake them all at once, the dough may be wrapped well and frozen. Place dough on a floured surface and knead it a few times. Flatten dough and turn it over to coat with flour. Roll out a little less than ¼-inch thick. I’ve got to try this for my cats, they love treats and I like the idea of making my own and knowing what’s in them! Thanks for sharing this recipe! 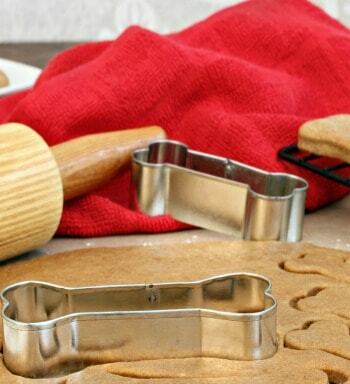 It can be hard finding a good recipe for cat treats…it seems like dogs are the majority in that category. Anyways, my two fur babies are sure to love this! Yes, for safety it does need to be stored in the fridge. I am really glad to have found this recipe! Just one question, how long will these treats last in the fridge, as I do not give my cats treats too regularly? I wish I still had a cat to make these for! I know my Lily would have loved these….but she died at age 20 last year. Oh my gosh these look terrific. My cranky lady is 14 1/2 yrs old and have been thinking of slowly introducing her to homemade as she advances in age. Thank you! Looks very good.Wish my cat liked the canned tuna and salmon. 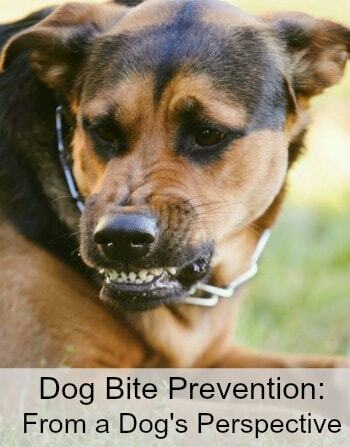 Sounds like the perfect treats for your pet. Thanks for sharing at Merry Monday! 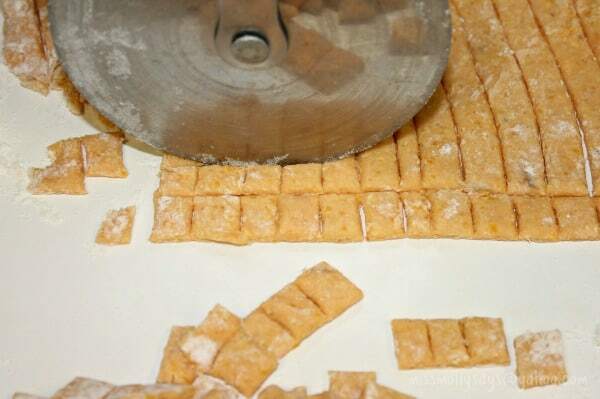 I’ve never thought of making homemade cat treats! 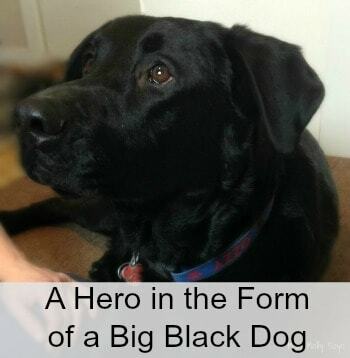 Most people only think about dog treats. Great idea! Thanks for linking up with Delicious Dishes Recipe Party! Just found your great recipe, but would like to ask storage time? The recipe just says refrigerate and one comment you replied a week in fridge. Could the finished treats be frozen after baking? I would think they would keep this way as well? Yes, they may be frozen also 🙂 Just take out as many as needed and allow to thaw. How would I make these grain free? Have a cat with grain allergy and she breaks out. So we do all 5 cats grain free, just easier. Thank you. Oh, thank you thank you thank you! I’ll be printing out this recipe ASAP. Anyway, I stopped buying salmon, tuna, etc. after reading a few articles about how these kinds of wet food can be laced with contaminants such as heavy metals. I didn’t want to take any kind of risk with that! Again, thank you SO much for this recipe. I can’t wait to make it! I’m very confused, the recipe calls for canned Tuna, which would have the contaminateds you speak of- but you’re going to make the recipe anyway? I’ve never thought about making treats for my kitties before. 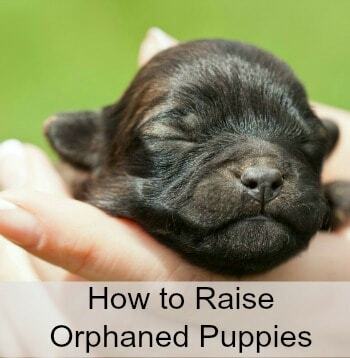 This would sure be better for them than commercial treats and be easier on my wallet too. These are great! I wonder if my mom’s cat would like them. He is so picky. Very useful. These look just like temptation cat treats lol! I always wondered how to make these. Thanks. I have two cats, one is super picky and the other will eat pretty much anything. I’d love to see how these would go over with them! I don’t often see treats for cats, and this recipe is super good. I can’t wait to make it for my friends’ kitties! Does the dry milk effect cats the way regular milk does? I found a link to this recipe on Meows N Paws. 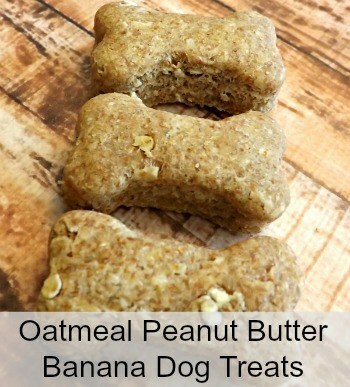 These treats sound great, I think my dogs would love them too! Thanks for sharing. Do you have a recipe for chicken cat treats with liver? My cat loves fish and would be excited to get these! Can you freeze those treats? Where would one store those treats? Thanks I guess you can use any kind of meat.